Sabbia Gallery and the Remote Communties Ceramic Network are pleased to announce the upcoming launch of the touring exhibition Clay Stories : Contemporary Indigenous Ceramics from Remote Australia at Araluen Arts Centre in Alice Springs. The exhibition runs from 3 March to 8 April 2018. The exhibition will be launched by artist Tony Albert on Friday 2 March. 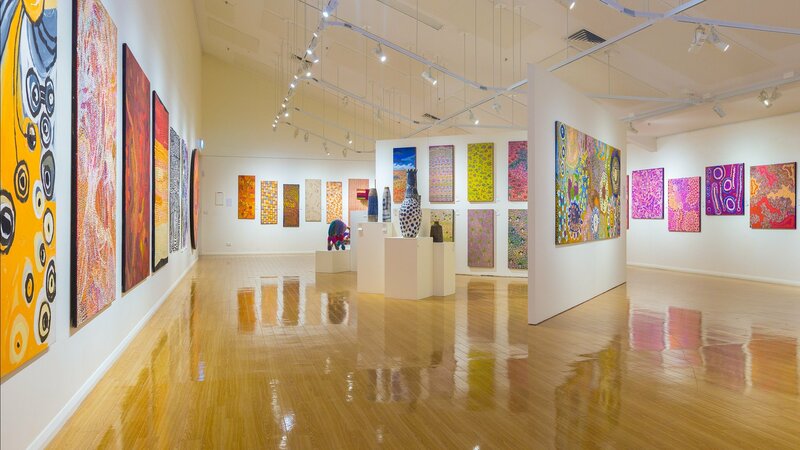 An exhibition floor talk, by Tony Albert and Clay Stories curator Anna Grigson, will take place at Araluen Arts Centre on Saturday 3 March at 10.15am, followed by a demonstration by Ernabella and Hermannsburg artists at Central Craft at 11.30am. The exhibition will then tour to Strathnairn in Holt, Canberra ACT from 12 May to 1 July 2018. Exhibiting artist Jimmy Kenny Thaiday from Erub Arts will be part of a workshop on Sunday 13 March. All enquiries to Strathnairn Arts.